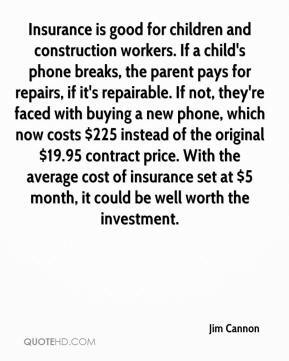 Insurance is good for children and construction workers. If a child's phone breaks, the parent pays for repairs, if it's repairable. If not, they're faced with buying a new phone, which now costs $225 instead of the original $19.95 contract price. With the average cost of insurance set at $5 month, it could be well worth the investment.